Startup leader Khai Tran realized that lending a hand in the community doesn’t always look the way you expect. If you can’t do the work directly, maybe you can help the people who are doing it. At his design services startup, Penji, launched in Philly almost a year ago and now based in Camden, Tran says the company’s core value was always “a specific mission to help those helping others.” That’s why he launched Penji Unlimited, to meet an unmet need in the local non-profit community: professional-grade logo and design services. To understand what Tran (co-founder and CEO of Penji) is doing for the non-profit community, you need to understand his unique business model for all clients (he estimates that 60 percent of them are based in North America, but the rest come from around the world, including China, Australia, and Europe). Penji works on different tiers according to clients’ needs, and the model is simple: clients pay a flat monthly fee (not on a contract; you can pay month-to-month), and they have access to professional design services and support for things like logos, business cards, marketing materials, websites, apps, and more. Depending on the tier you buy, you can work on one project at a time with Penji’s on-staff designers, or multiple projects. Tran’s concept has been getting some good buzz in the Philly start-up community over the past year. This is where Penji Unlimited comes in, but with one big difference: non-profits that the Penji team chooses to work with receive the same service for $1 per month—and not as a promotional price or a gimmick. It’s really just $1 per month for non-profit clients. And it was hard to get the word out. 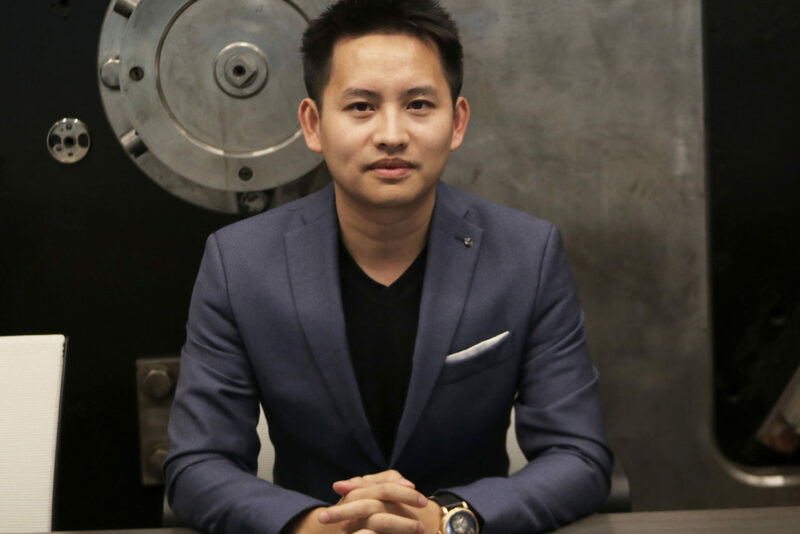 Tran wanted to extend his company’s services to Camden and Philly non-profits who are doing good work in the community, so he started off by e-mailing non-profit leaders with his offer. But “none of them signed up, because they thought it was a scam,” he says. “They thought I was trying to sell them something. They thought it was a bait and switch.” But it’s not, he insists. He decided to develop a letter and put his personal signature on it, and got it out to local organizations through a third-party mailing list. People began to take notice. Why target non-profits with design services? Aren’t there more pressing things the organizations need? That depends on your point of view. The people a non-profit is serving, whether through healthcare, the arts, education, or any other kind of advocacy and support, may not care what the organization’s logo looks like or how professional the website and materials are. On the other hand, to stay afloat and thrive, non-profits need top-notch branding just as much as any other business, in the quest for grants, donors, and other support. But most non-profits spend the majority of their often-limited funds on programming. Even for a large non-profit, there often isn’t much left over for things like design services—especially when so much funding targets programmatic initiatives, rather than general operating support. So what happens? A lot of non-profits end up relying on a board member or an intern, who many not necessarily have the best expertise or experience, to design their public face. “There definitely is a knowledge gap,” Tran says of comparing the typical for-profit business to non-profits. “I think that knowledge gap comes from the fact that nonprofits very rarely work with a marketing firm.” No for-profit business worth its salt launches without at least a professional marketing consult, and everything starts with a good logo. “I don’t know if many non-profits have a marketing consult. That’s rare, so they don’t get that feedback,” Tran says. But “it is without a doubt extremely important to have your branding, the marketing materials, their presentation,” he adds. Tran calls the selection process for participating non-profits a very “organic” one. There are no complicated grants to submit or time-consuming paperwork. 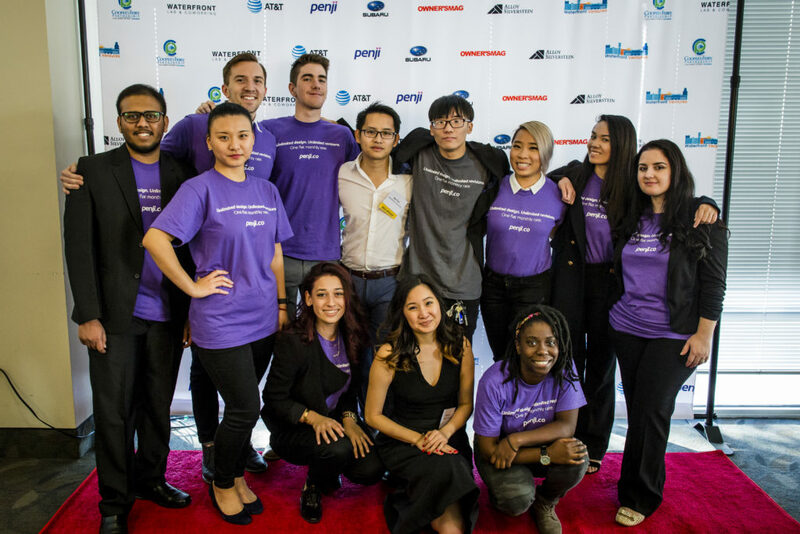 Prospective non-profit clients can reach out to Penji Unlimited, and Penji gets to know them. That means getting on the phone, looking at the mission, and attending events to get a sense of the organization’s efforts. And if it’s “work that we want to champion and support,” the partnership moves forward. It’s beneficial all around, Tran notes. Participating non-profits note measurable boosts to their fundraising efforts with access to a professionally developed logo and materials, and Penji designers love the sense of helping their community in a concrete way—not to mention the way that non-profit clients enthusiastically circulate their new materials, bringing more visibility to Penji in the process, which adds up to more business.